For the first time, a complete history of the Gerry and Sylvia Anderson television productions which pioneered science-fiction special effects. Film historian Stephen La Riviere, whose documentary about Supercar (Full Boost Vertical! 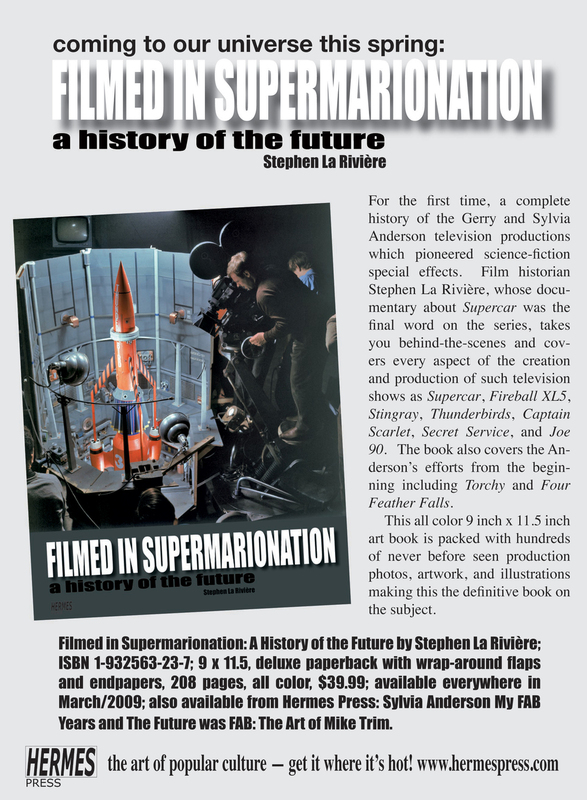 The Supercar Story) was the final word on the series, takes you behind-the-scenes and covers every aspect of the creation and production of such television shows as Supercar, Fireball XL5, Stingray, Thunderbirds, Captain Scarlet, Secret Service, and Joe 90. The book also covers the Anderson's efforts from the beginning including Torchy and Four Feather Falls. This full-color art book is packed with hundreds of never-before-seen production photos, artwork, and illustrations making this the definitive book on the subject.